BlackWorks Racing adjustable camber kits are manufactured from forged AL7075. Each of our kit’s use vulcanized rubber bushings. 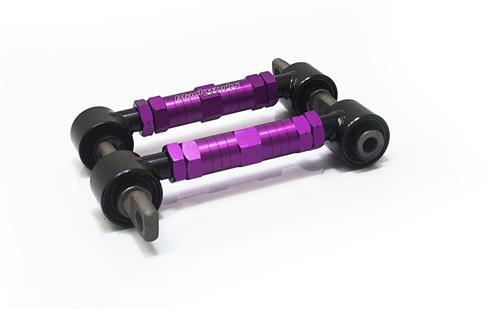 BlackWorks Racing rear camber kits are laser etched, and anodized in vivid colors. Using our camber kits will allow you to adjust positive and or negative camber in your daily driver or your weekend warrior. By having correct camber will improve tire wear, handling, and safety while at the same time have a lighter and improved cleaner look.